Dr. Sanchez is an Associate Professor in the Department of Civil and Environmental Engineering. She specializes in the study of interfacial interactions (chemical and mechanical) and mass transport processes coupled with chemical reactions as applied to advanced, cement-based composites and environmental systems. 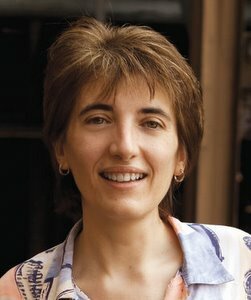 Professor Sanchez’s research interests include multi-scale experimental characterization (mechanical, chemical, and physical across nano to macro length scales) and computational modeling (molecular dynamics modeling and coupled reactive mass transport modeling) of the nano-engineering, performance, and durability of cement-based composites. Dr. Sanchez is the recipient of a National Science Foundation (NSF) CAREER award in 2006. American Concrete Institute’s committee on Materials Science of Concrete (ACI 236) and subcommittee on Nanotechnology of Concrete (ACI 236D).